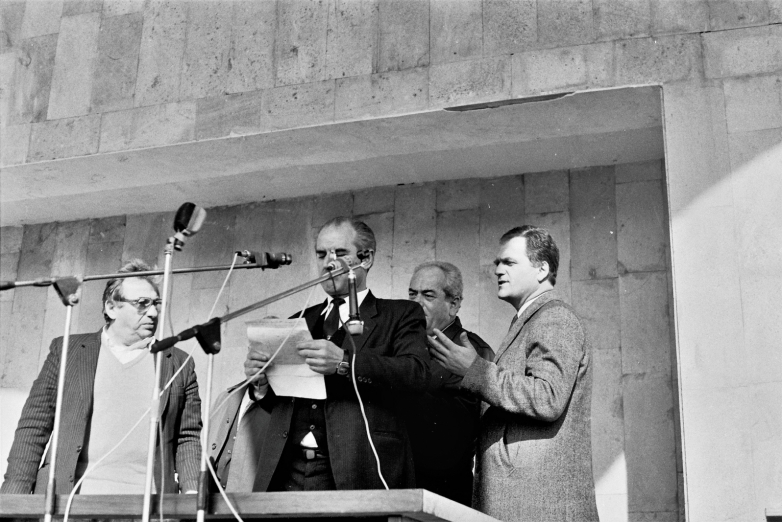 On March 18, 1989, the historic Lykhny gathering took place in Abkhazia, where an appeal was made on behalf of more than 30 thousand people in favor of independence of Abkhazia with the restoration of the status of the Federal Republic. 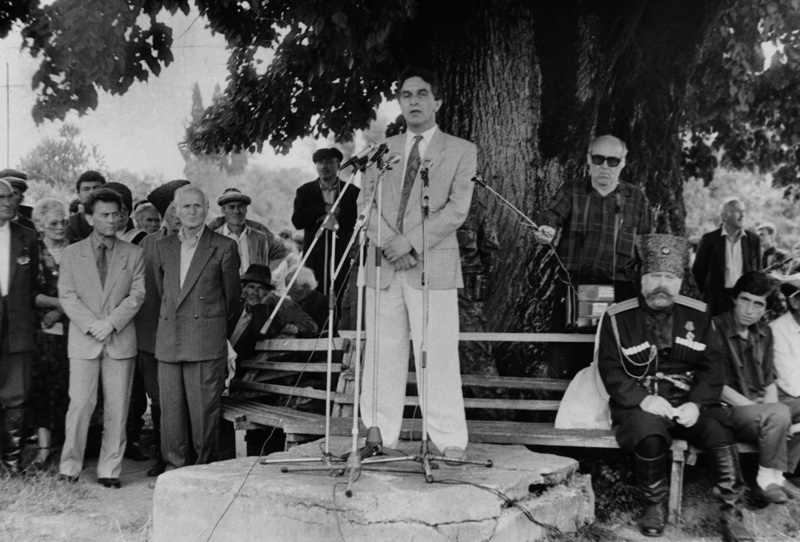 One of the most important events that preceded the recognition of the sovereignty of Abkhazia by a number of states will forever remain in the history of the Republic as an example of the unity of the Abkhaz people, for whom the main goal was and remains to live in an independent country under a peaceful sky. 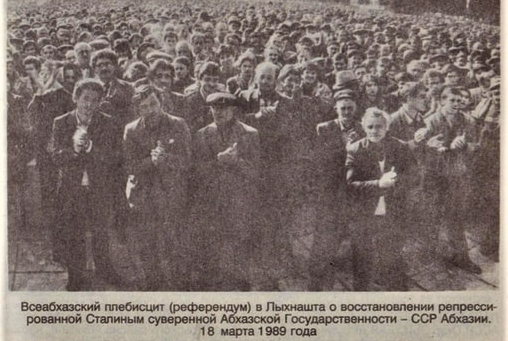 This historic event, which occurred in March 1989 is the Lykhny gathering. The long-awaited recognition of the independence of Abkhazia by Russia on August 26, 2008 is the result of a centuries-old national liberation struggle. Abkhazia suffered its independence through a long journey of inspiring victories and painful defeats. Until March 1921, the Abkhaz territory was actually occupied by Georgia. In 1921, on March 4, Soviet power was established in Abkhazia. The coming of the Bolsheviks to power was regarded by the people as liberation from the Georgian occupation. Then in 1921 the Soviet Socialist Republic of Abkhazia was proclaimed - an independent republic within the USSR, which became part of the Soviet Socialist Republic of Georgia on a contractual basis in the same year and through it in the TSFSR (Transcaucasian Socialist Federative Soviet Republic - ed.). However, after 10 years the situation has changed again. February 19, 1931 Abkhazia was forcibly incorporated into the Georgian SSR in the status of an autonomous republic. This decision was the beginning of a new tragic chapter of history: it more than once brought Abkhazia to the line, which could be followed by the final disappearance of the people. Georgia was outraged, blocking any Abkhaz intentions to be full-fledged residents in their homeland. Abkhaz schools were closed, Abkhaz language was forbidden, toponymy was changed (geographical names - ed.). In other words, the rights of the Abkhaz were violated in all spheres of life. Decades of Georgian treachery in Abkhazia resulted in the development of the national liberation movement. 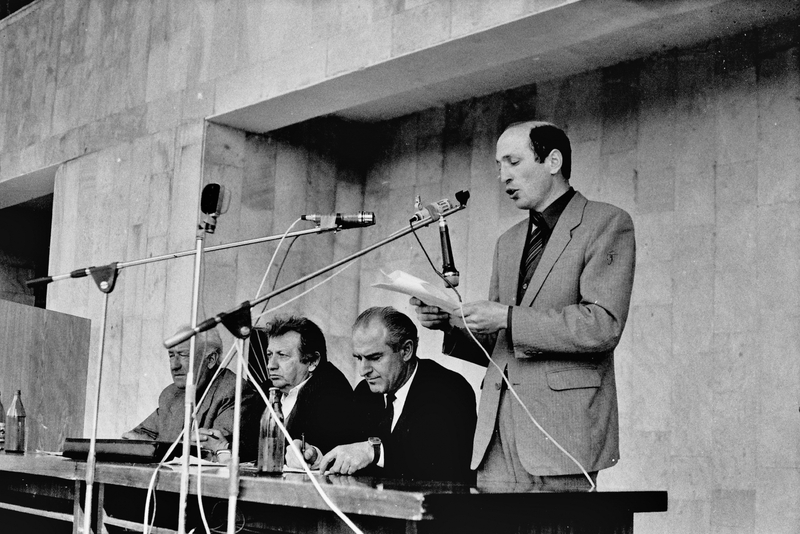 The Abkhaz, not ceasing the struggle from the moment of its forcible incorporation into the Georgian SSR with the rights of autonomy, made every possible effort to restore historical justice. 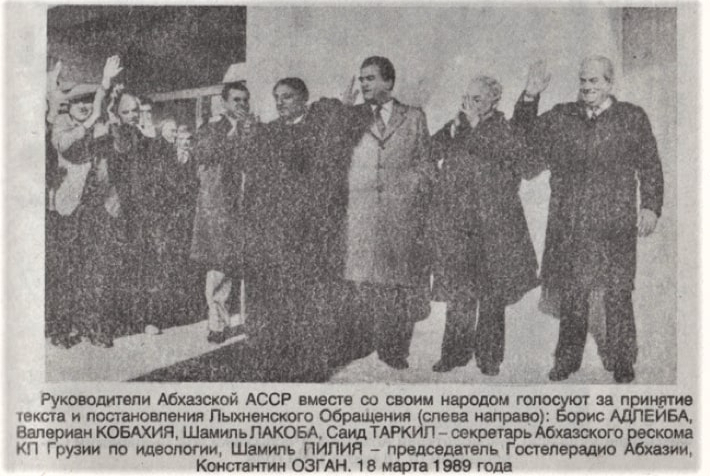 On December 3, 1988 in Sukhum, in the premises of the Abkhaz State Philharmonic, the first Constituent Congress of the new democratic social and political movement was held, which went down in history as the National Forum of Abkhazia “Aidgylara” (“unity” as translated from the Abkhaz). The forum united all the groups that fought for the rights of people living in Abkhazia and brought the Abkhaz national struggle to a new level. 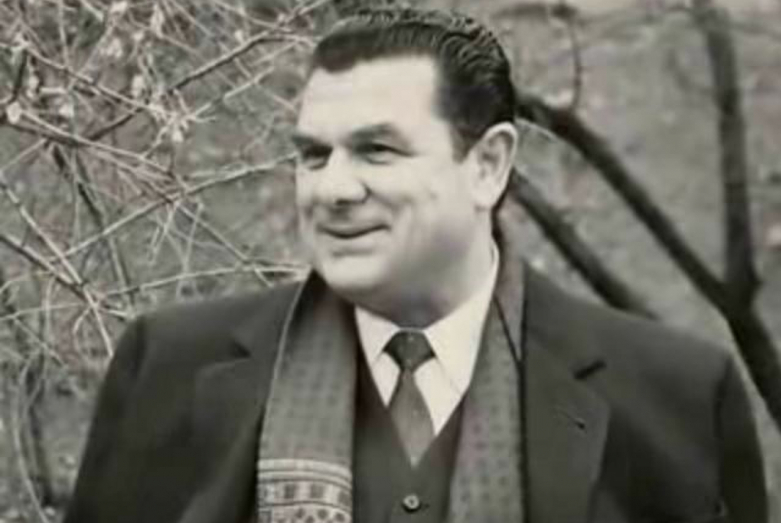 The movement’s origins were Abkhaz public and political figures, intellectuals, and the people's writer of Abkhazia Alexey Gogua became its chairman. “Aidgylara” was able in a short time so to establish contact with the people, with representatives of all national communities, and so unite everyone, that there was hope for holding many thousands people’s gathering. Indeed, in order to gather people, it was necessary to do a great job - even though the Abkhaz understood the need to resolve the urgent problem. At the time of the creation of the Forum, the Georgian imperial ambitions reached their peak. 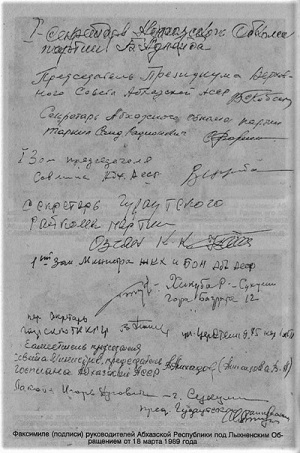 The transfer of personnel from Georgia to Abkhazia continued. There was a cynical falsification of Abkhaz history. 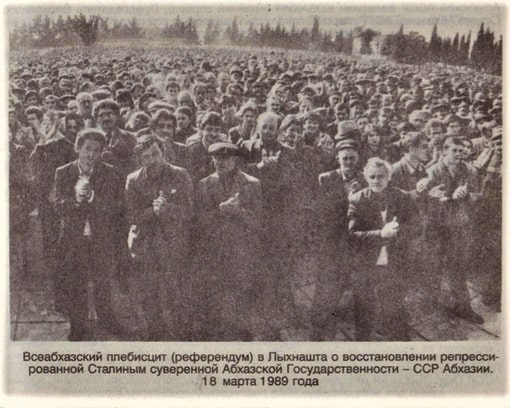 All this, as a result, led to the organization of the Lykhny gathering, which took place several months later and had a huge response throughout the entire space of the former Soviet power. On March 18, 1989, in the very heart of Abkhazia, in a historic place on a field in the village of Lykhny (it was there that for many centuries the Abkhaz people made all crucial decisions for the country - ed.) of the Gudauta district held an authorized rally convened by the “Aidgylara” People’s Forum. It united more than 30 thousand people. The rally participants appealed to the President of the USSR Mikhail Gorbachev demanding that it be granted the status of a republic within the USSR, which it was from 1921 to 1931, and the temporary introduction of the “special management” regime of Abkhazia from Moscow. The appeal of Lykhny declared that the people of Abkhazia were tired of the excesses of the Georgian leadership. The appeal was read by a young but by that time already well-known poet and journalist Vladimir Zantaria (now an adviser to the President of the Republic of Abkhazia - ed.). 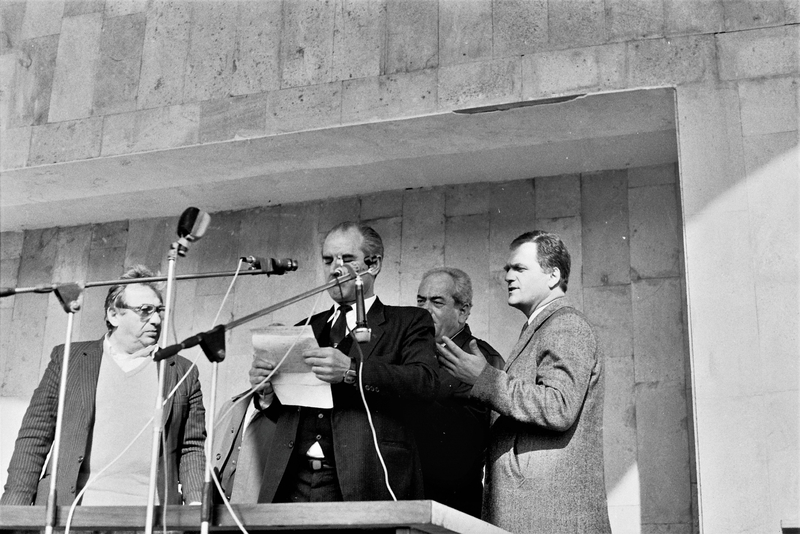 Zantaria notes that at that time Tbilisi emissaries, Georgian special services did everything to thwart the gathering, however, “the people were so agitated by forcing an anti-Abkhaz psychosis that it was impossible to stop the movement from below”. Before reading the historical speech, Zantaria rehearsed it many times - so that it turned out loud and clear, so that the essence of the message reached every heart. “The decision that I should read out the Lykhny appeal was made by the Presidium of the People’s Forum “Aidgylara”. I learned about it literally one day before the gathering. Of course, I got excited, but then I began to delve into the text, working on intonation, on the correct arrangement of semantic and intonational italics. I was helped by the fact that I worked for five years as an announcer of the Abkhaz radio and had some experience in giving intelligible materials. On the way to Lykhny, the friends of the PFA (People’s Forum “Aidgylara” - ed.) asked me to recite the appeal and delicately indicated me to some nuances. As a result, judging by the reaction of the participants of the gathering, the appeal sounded quite clearly. It was put to a vote, and was adopted unanimously,” recalls Vladimir Zantaria. 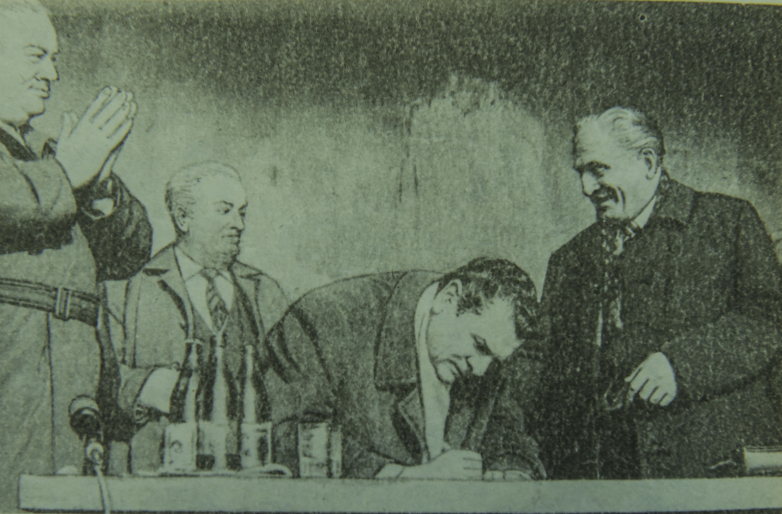 The very first signatory of the appeal was the first secretary of the Abkhaz regional party committee, deputy of the Supreme Soviet of the USSR, member of the bureau of the Abkhazobkom Boris Adleyba. More than 30 thousand citizens of Abkhazia followed his example. The full text of the Lykhny appeal was already published on March 24 in the Abkhaz newspapers “Apsny Kapsh” and “Sovetskaya Abkhazia”. After it appeared on the pages of newspapers, papers with signatures from residents of Abkhazia continued to flow to the organizers of the gathering. Some official sources stated that as a result, about 40 thousand signatures were collected. The documents of the Lykhny appeal to Moscow were brought by prominent political figures, politicians and historians of Abkhazia Igor Marykhuba, Gennady Alamiya, Vadim Pilia, Nikolai Dzhonua and Sergey Shamba. Meanwhile, the relations of Abkhaz and Georgians in the country became extremely tense. The political tension was felt everywhere: in schools and state institutions. On June 1 of the same 1989, at the First Congress of People's Deputies of the USSR, People's Deputy of the USSR Vladislav Ardzinba, who was already a well-known and weighty figure in the political arena of Abkhazia, spoke. He said that in the history of the Abkhaz people the years 1937-1953 were a period when there was a question about the liquidation of the people as such. 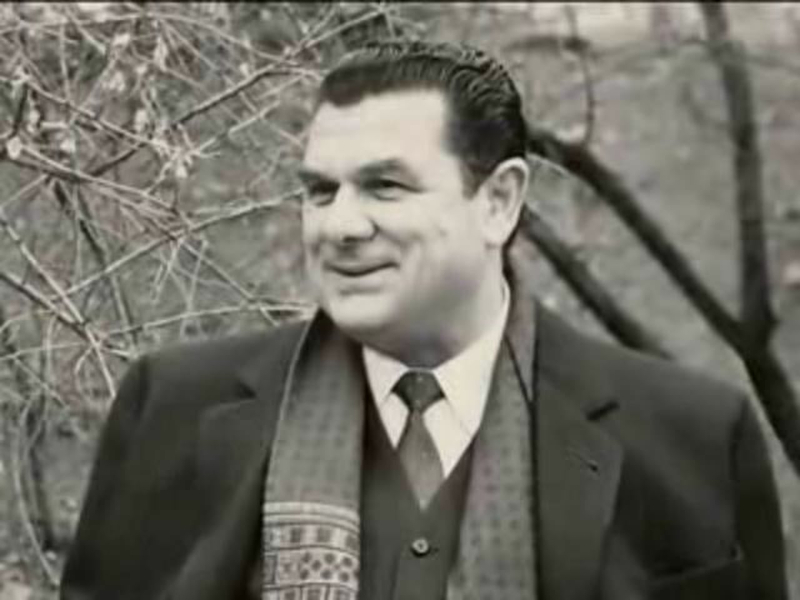 “We must say straight out that <...> in the period when a policy was carried out against the Abkhaz people, which practically should be characterized as chauvinistic, let's call things by their names,” said Vladislav Ardzinba after literally sorting out the history of oppression of the Abkhaz the people by the Georgians, their attempts to eradicate the Abkhaz from their native land, starting from 1931. Unfortunately, neither the appeal of the people, nor the speech of its distinguished leader was then heard. 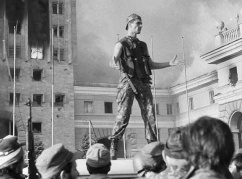 The very same “time bomb” launched back in 1931 exploded: a bloody war (Patriotic War of the Abkhaz Nation 1992-1993 - ed.) claimed thousands of lives, broke thousands of destinies. Only 62 years later, in 1993, having won the war for the right to live in their own land, for the right to preserve their nation, the people of Abkhazia were able to completely get rid of Georgian oppression. 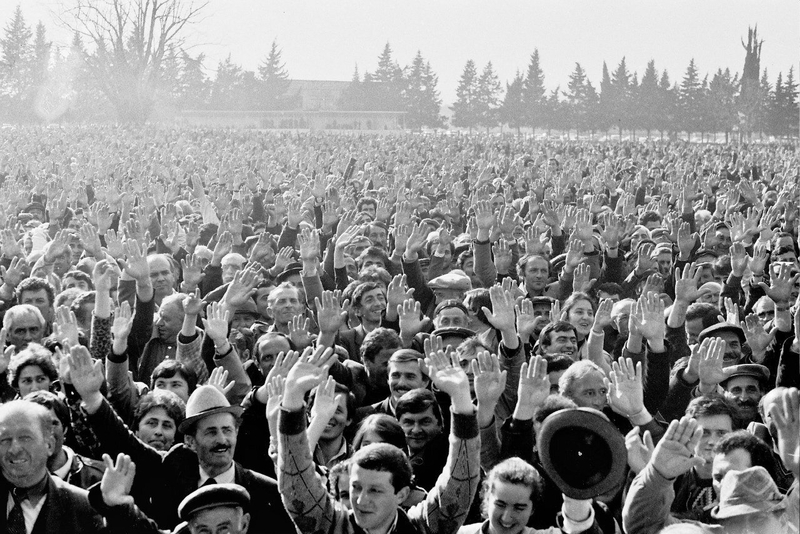 Despite the fact that the 1989 Lykhny appeal failed to prevent bloodshed, it played a huge role in the history of Abkhazia, becoming an example of unity and rallying of the Abkhaz people, its many thousands of unison. Today, the goal to which, losing its best sons and daughters, the people went, has been achieved: peace reigned on the Abkhaz land - a fragile peace woven by fearlessness and the will of our ancestors. I accept the terms of The User Agreement and consent to the processing of my personal data. Check your email. You have been sent a letter with a link to reset the password from your profile. You have been sent an email with a link to reset your account password. Follow the link and create a new password.